Finding an artisan bread recipe is not difficult because there are hundreds, if not thousands of recipes online and in books. 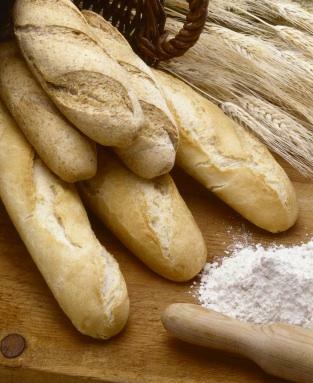 However, discerning between an artisan and a traditional bread recipe is a different story. A true artisan bread recipe is one that is made with slow-rising techniques, such as sourdough, leavins, and sponges. Slow rising techniques create incredible, hearty breads that have crackling crusts and flavorful interiors. Many of these artisan breads are baked in wood-fired ovens, or on stone and brick hearths. But you can re-create them at home with just a few ingredients, as well as some time and patience. Slow-rising techniques and hand-shaped loaves ensure depth of flavor and a wonderful texture and look. But this kind of chewy texture and crackly crust takes a decent amount of planning and a couple of days to complete. What Types of Breads Are Vegan? It is ideal to put together a bread-making plan so you will know exactly the amount of time you will need. It is an excellent project to work on over a weekend, particularly when the weather is blustery outside--the perfect excuse to stay indoors. 11:00 a.m. - Make the first starter and let it rise for eight hours. 7:00 p.m. - Make the second starter and let rise for four hours and then chill for eight hours. 7:00 a.m. - Mix the final dough together and let rise for one and a half hours. 9:30 a.m. - Shape your dough and let it rise for another one and a half hours. 12:00 p.m. - Bake the loaves. By 1:30 p.m. on the second day you and your family can enjoy some of the best bread you have ever eaten. Cut the dough into small pieces and place them in the bowl of a stand mixer fitted with the dough hook or paddle attachment. Add the warm water and let the mixture soften for about 5 minutes. Add the flour and turn the mixer on to a medium-low speed. Mix for about two to three minutes or until all of the ingredients are incorporated. Place the dough in a large bowl, cover with plastic wrap and put in a warm place, about 80 to 85 degrees F for about eight hours. After eight hours, the dough should be soft, bubbling and springy. Cut the first starter into four pieces and place into the bowl of a stand mixer fitted with a paddle or dough hook attachment. Mix in the flour on low speed for about two to three minutes or until all of the ingredients are incorporated. Transfer to a large bowl and cover with plastic wrap. Let sit for four hours in a warm place until the dough smells sweet and yeasty. Chill for about one hour and no more than eight hours before finishing your bread. In a stand mixer fitted with a dough hook, put the water into the bowl, sprinkle in the yeast and stir with a spoon to mix. Punch down the second stage starter and break into four pieces. Add this to the bowl and soften in the water mixture for 5 minutes. Add the flour and start the machine on low, pulsing a few times so the flour does not fly out of the bowl. Mix on low speed until all ingredients are incorporated and then let the dough rest for about ten minutes in the bowl. With the mixer on low, sprinkle the salt onto the dough and then increase the mixer to medium speed, kneading the dough for five to eight minutes. Transfer the dough to a bowl, cover with plastic wrap and rest in a warm place for 1 1/2 hours. Fold the the dough on top of itself and cover it again to rise for another 45 minutes. Finally, shape the dough into any shape you want and then bake in a 450 degree oven for about 20 minutes or until golden brown.